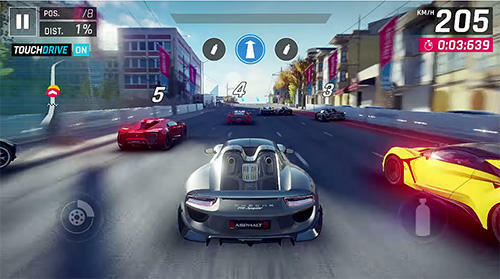 Gameloft’s famous Asphalt series has yet another addition to it. The Asphalt 9: Legends is finally heading to the playstore. But you still can’t download it from the official page. It may take a day or two for the developers to made it available globally. The Asphalt 9: Legends features the top roster of real hyper cars for you to drive unlike those in any other games, from renowned car manufacturers like Ferrari, Porsche, Lamborghini and W Motors. You’re free to pick the dream car you need and race across spectacular locations against rival speed machines around the world. Hit the fast track and leave your limits in the dust to become a Legend of the Track! The game was soft launched for the Philippines store previously. Gameloft has only just formally announced Asphalt 9: Legends. We know its going to be playable at E3 next week, and the talk is its coming very soon. Although, if you live in the Philippines you can grab the soft launch right now on Google Play. Alternatively, you can work some fancy magic and get it regardless of the country you live in. You can Download Asphalt 9: Legends Apk Here.